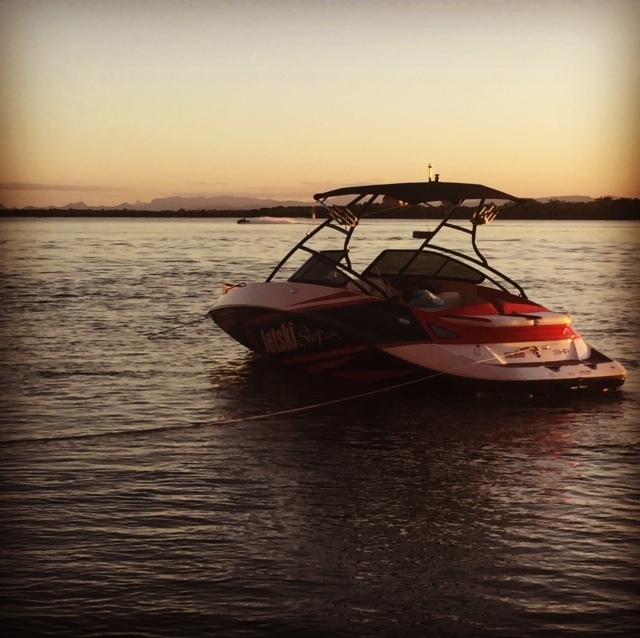 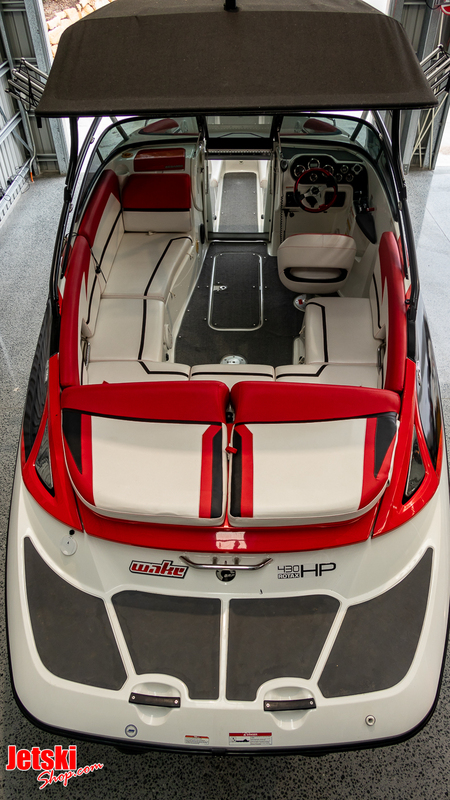 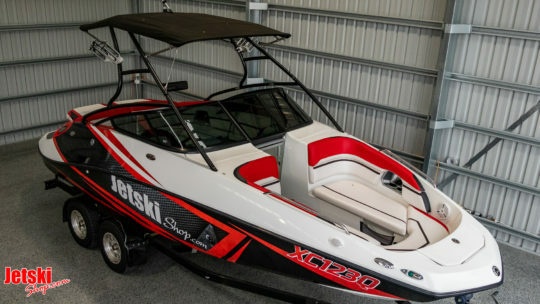 Check out this amazing 230 Wake boat, fully loaded!! Sea-Doo twin supercharged 4 stroke engines producing 430 horsepower, this will take the whole family and extra freinds. 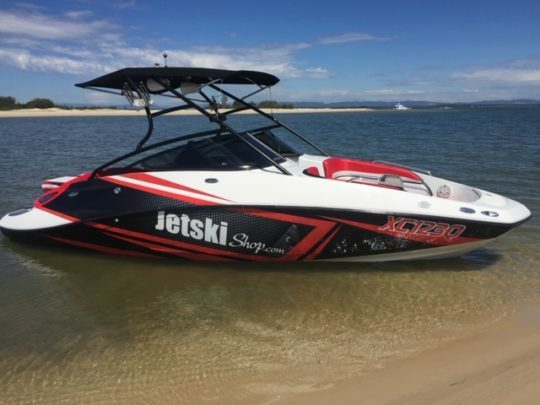 This boat has been owned by jetskishop for 3 years. 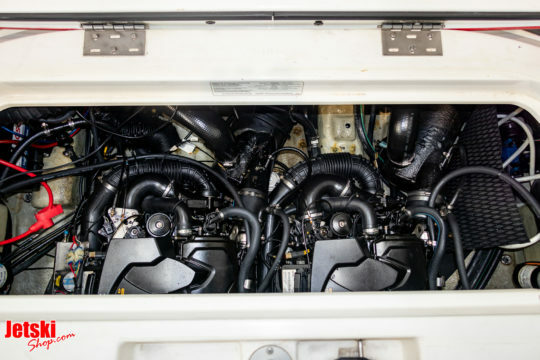 a list of extras and work carried out on the boat. 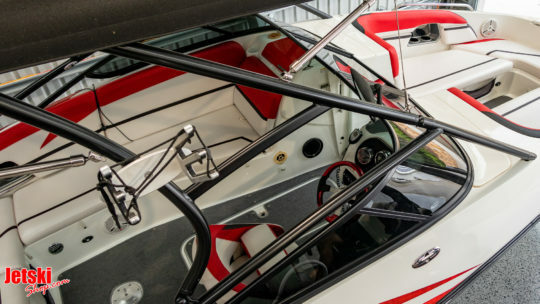 Black Powdered coated wake tower and window frames. 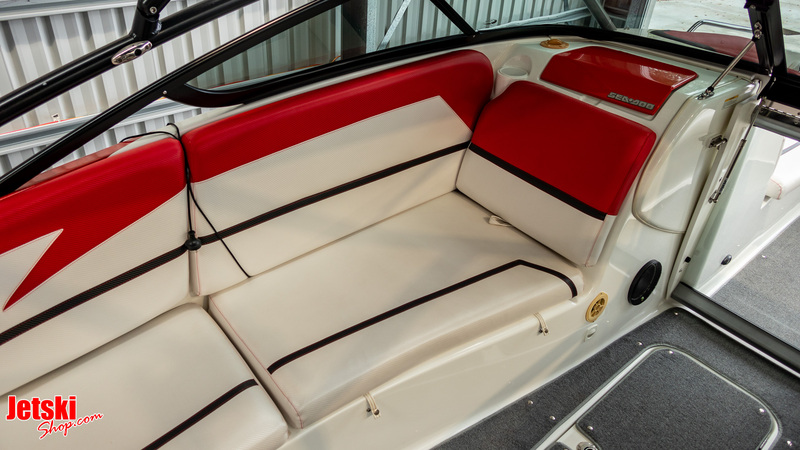 Full new trim to colour match. 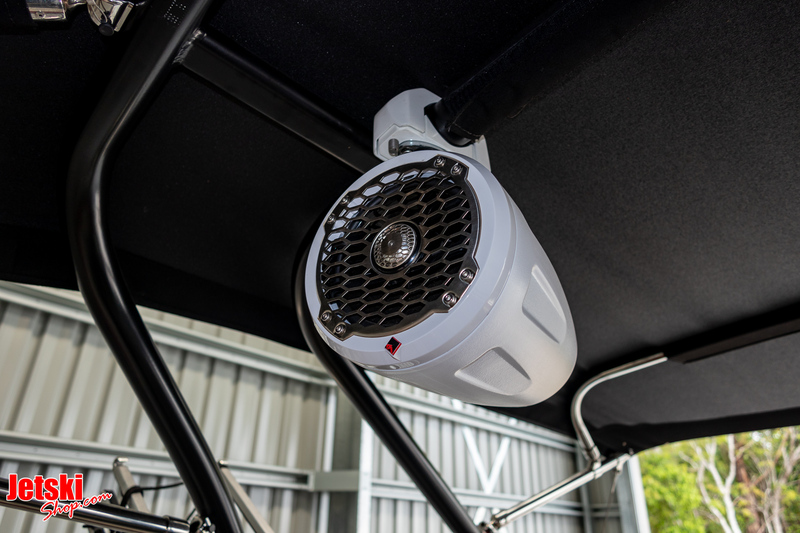 PA speaker system with new speakers. Solas Props and Solas stainless steel wear rings. Electric hydraulic brakes on the trailer. New tyres and with spare wheel. Finance is available- ask for a quote. 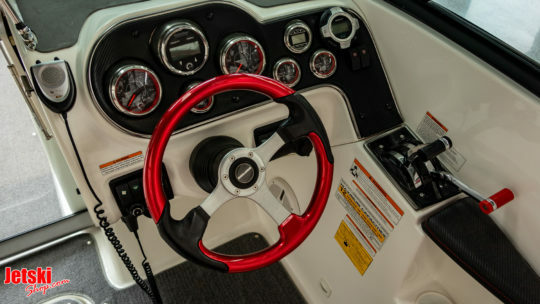 2 hour hand over and education on launching and retrieving, plus personal guide to owner maintenance. 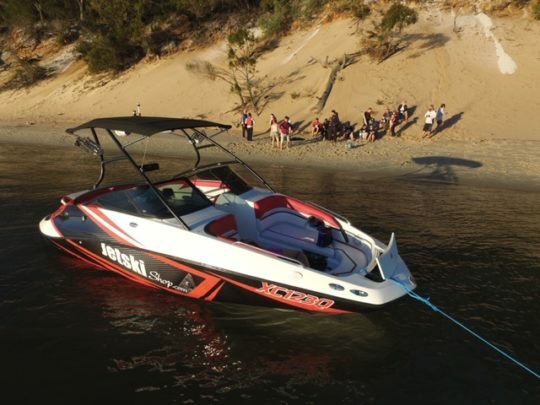 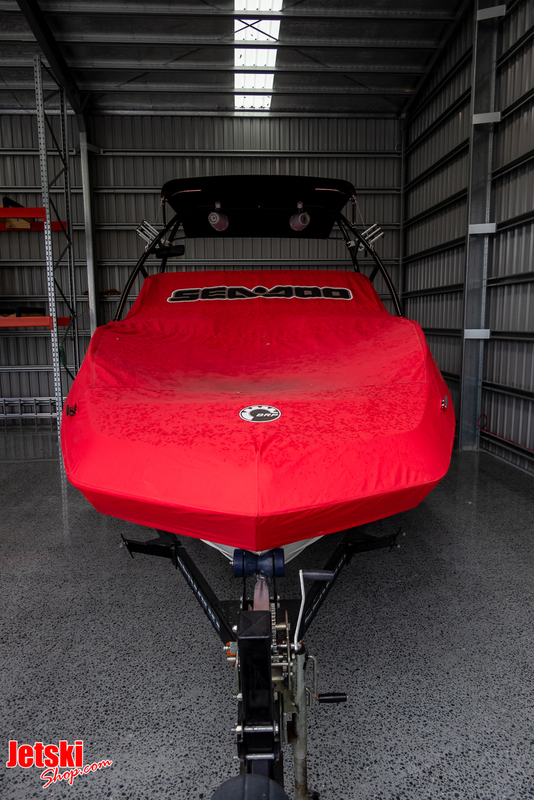 “It wasn’t too long ago that skiers were modifying their vessels for wakeboarding. 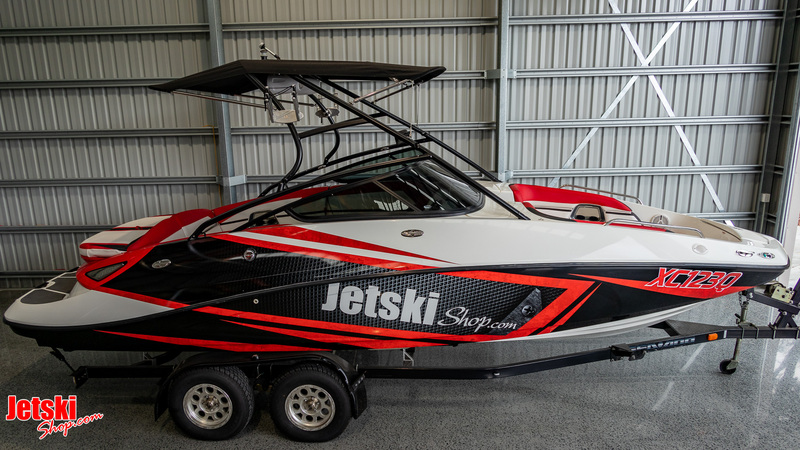 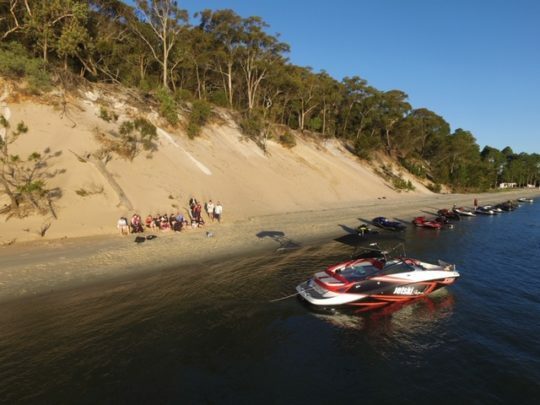 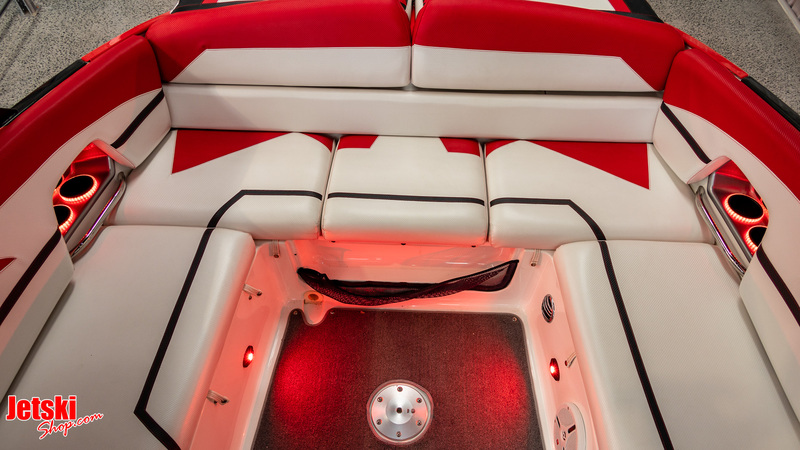 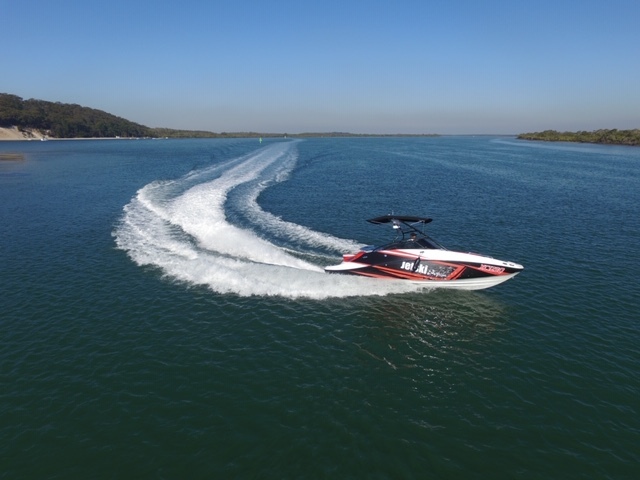 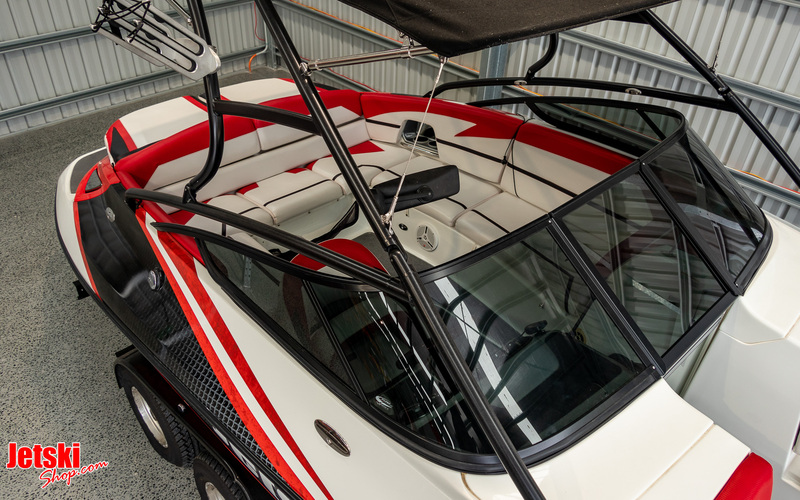 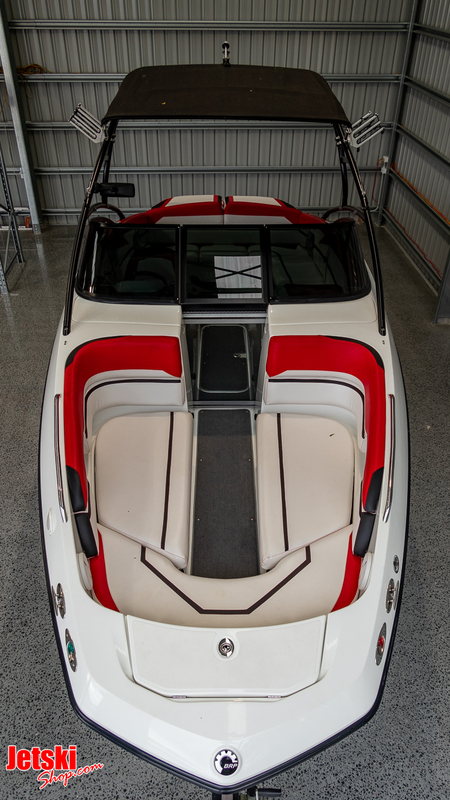 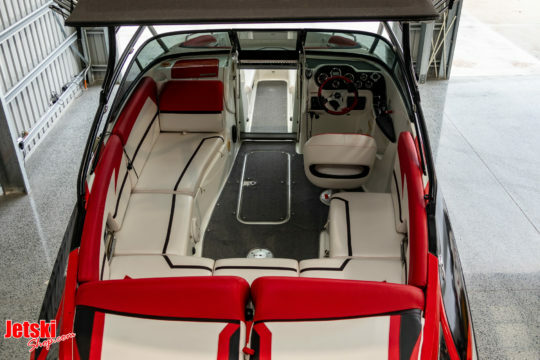 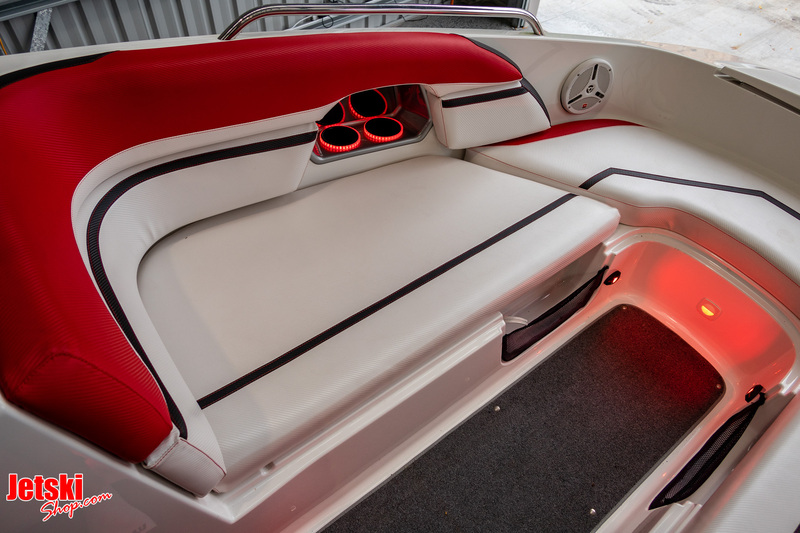 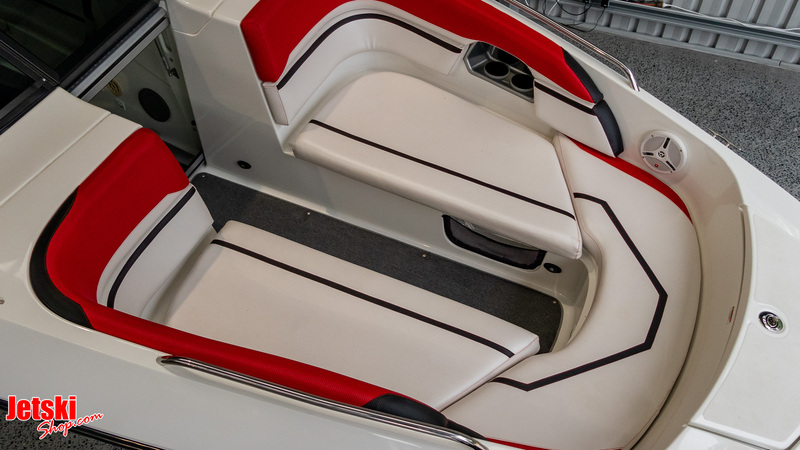 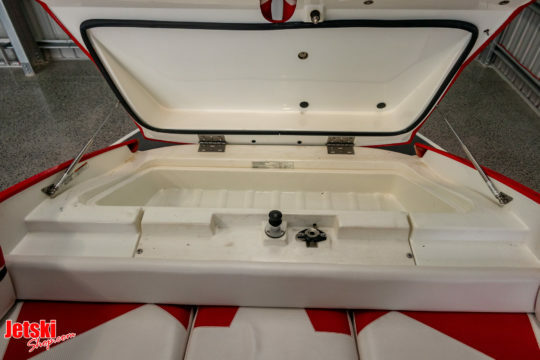 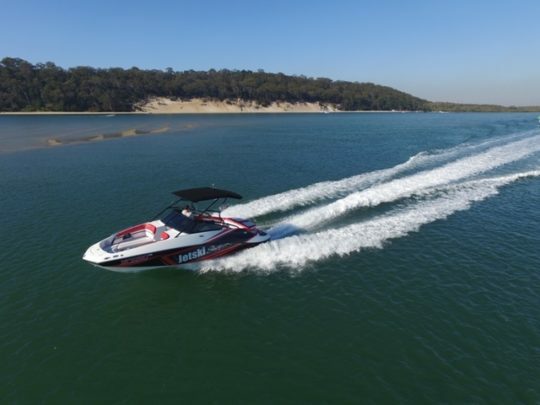 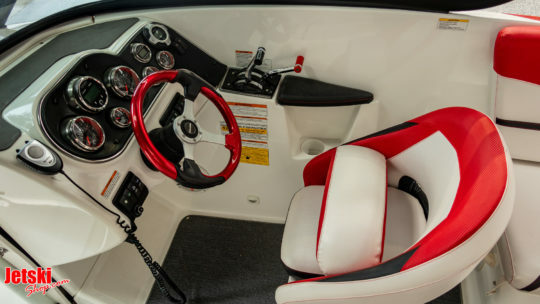 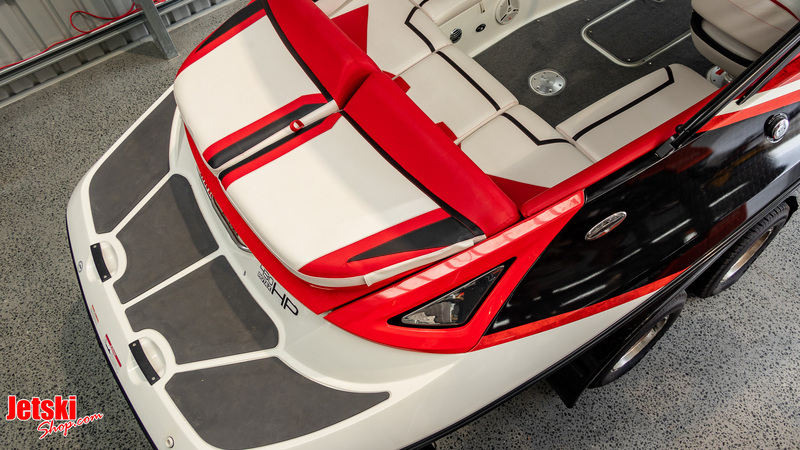 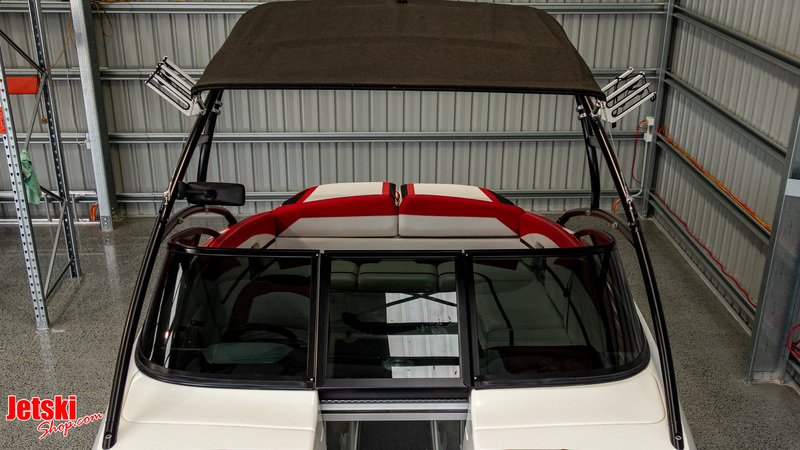 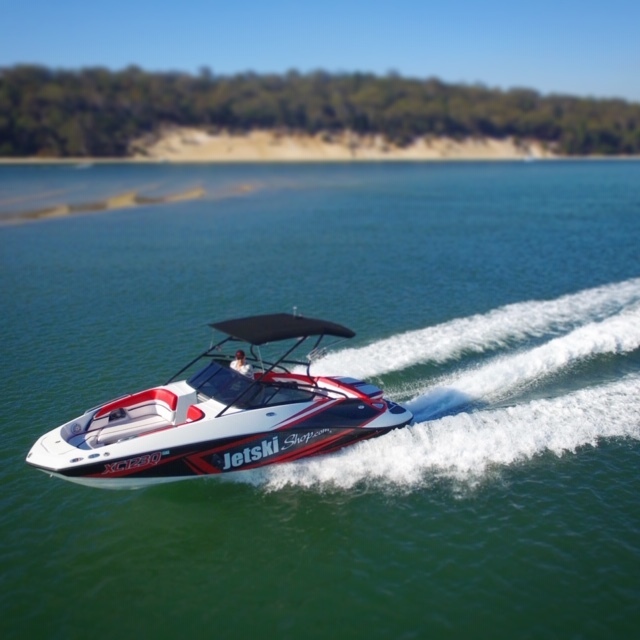 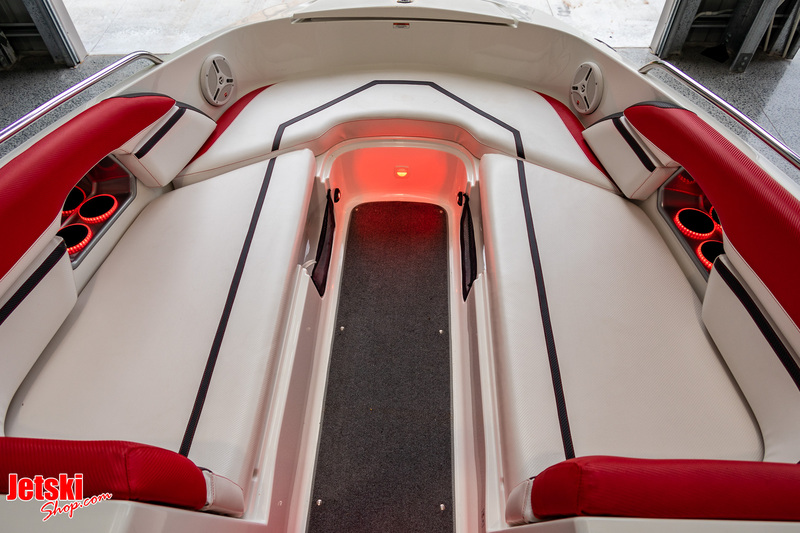 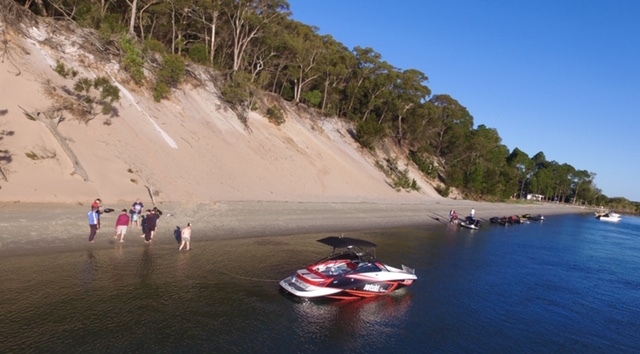 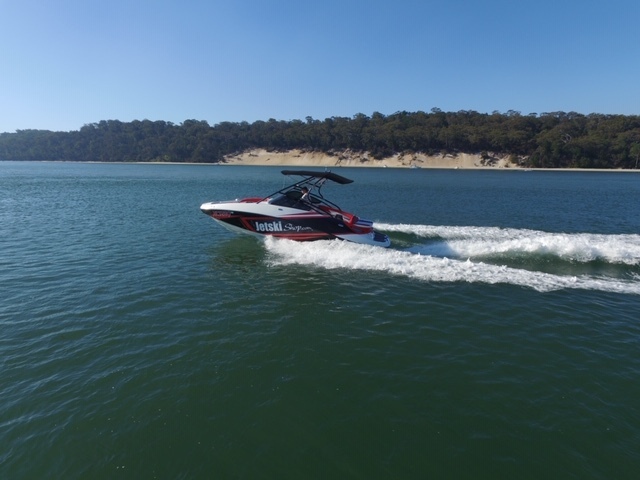 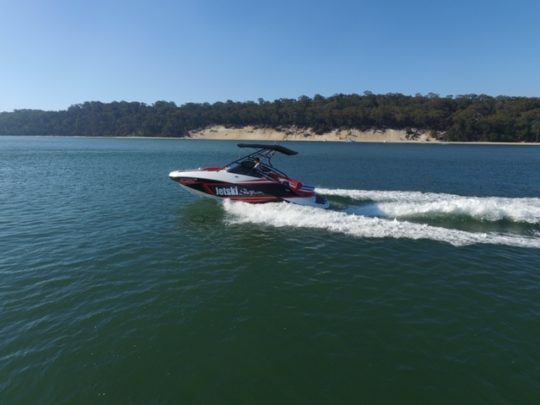 Now it’s hard to find a skiboat that is not at least optioned with huge stereos and speaker towers that only hide what are sophisticated tow points and wakeboard racks while the interiors are nothing short of a floating lounge room. The small Rotex engines produced the grunt needed, but there are some benefits of this configuration over V8 engines. 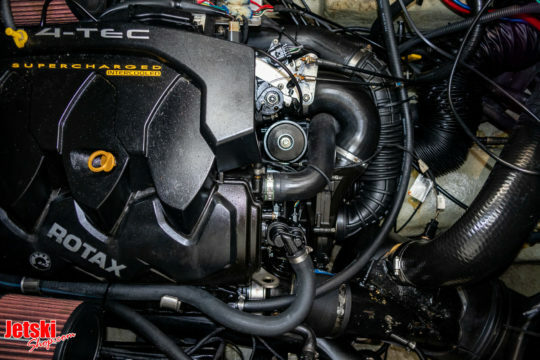 The Rotex doesn’t have saltwater running through the block to cool it, increasing the longevity of the engines through its closed loop cooling system. The hull is designed for speed so we weren’t expecting the comfort that you’d achieve from a steep deadrise but the weight of the hull, especially with loaded ballast tanks and a sharp entry point of the bow, made the hull very comfortable. Taking into consideration that the test was done on Queensland’s Moreton Bay, this was even more impressive considering these hulls are traditionally operated in rivers and lakes. The wide reverse chine added to the hulls stability, proving that Sea-Doo put a lot of research and development into their hulls.